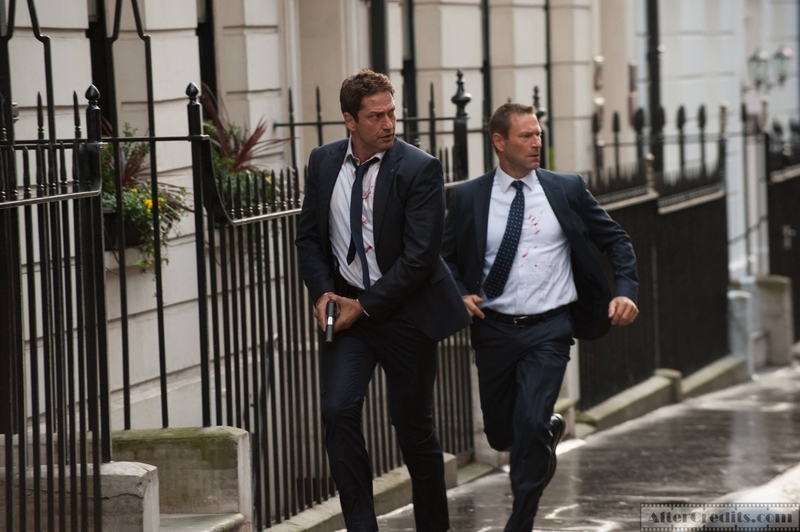 Several years after the events of Olympus Has Fallen, we return to top US Secret Service agent Mike Banning (Gerard Butler) and President Benjamin Asher (Aaron Eckhart) in London Has Fallen. When a prime minster passes away in London, all of the top prime ministers gather in London in order to see the funeral. When they get there, it turns out that the funeral was a trick to blow up the city and kill all of the prime ministers. Asher and Banning manage to get away and they must hide within the city in order to survive. When London Has Fallen ended, I had one question to ask myself. Have I become too arrogant and pretentious to enjoy a film like this? I remember back in 2013 when I saw Olympus Has Fallen in the theaters and while I haven’t watched it since, I think I at least found that movie to be somewhat entertaining as far as dumb action movies go. So why do I have so many problems with this sequel that in a lot of ways captures the dumb action beats of the first film? To respond, let me put it this way, there’s a difference between making a fun movie that’s stupid and a movie that’s just stupid. White House Down and Pan are two very idiotic films that I find quite enjoyable because there’s a certain charm and ambition to both of these two movies that gives them a lot of heart even when they fail. On the other hand, films like this or Fant4stic are dumb but they’re also incredibly hollow and soulless. You watch London Has Fallen and you get the since that whatever passion and joy they had making the original was gone from this new project. Nobody wanted to make an interesting movie and everyone goes into the movie from an angle of pure cynicism. London Has Fallen is a poorly written, ugly and forgettable action flick that even finds a way to become despicably racist. The movie screws everything up within literal minutes of the opening credits. The film starts with a drone strike that kills the entire friends and family of the Middle Eastern antagonist. The drone sent by the US was meant to take out this man but they made a mistake and because of this he survives while innocent people are killed. This is the dark backstory that they give the bad guy and you think they would use this to make you sympathize with him. They are probably going to use the character to question the morality of our supposed heroes. Except that they don’t. They make the villain completely unsympathetic and even after revealing the horrific drone strike that killed his loved ones, the heroes in this movie go out of there to show zero sympathy for this person. (Spoiler alert for something sh*tty that deserves to be spoiled) The happy ending to the film is even them successfully saving the day by going through with a more successful drone strike. Mike Banning brutally tears through the generic Middle Eastern baddies with sadistic one liners and grotesque apathy for the villains around him. I usually wouldn’t have a problem with one liners and the over the top deaths of henchmen. But there’s two things that make these details horrific when done here. The first thing is that the murders in this movie are overly drawn out and disgusting. In one scene, Banning slowly tortures the brother of the villain and seems quite happy slowly twisting his knife into this man who is screaming out for mercy. And at this point, the movie is still playing this as this good, fun thing that is happening. I’m reminded of a moment in this action movie satire called Decker where the main character waterboards a henchmen and it’s set to this cheerful, heroic music. This scene was like that moment if it was played genuinely. When the scene ends, it’s supposed to be humorous to the audience when Banning calls the president a wimp for telling him that the previous death was needlessly cruel. The apathy of Banning as a character also stretches out to when he’s making these unfunny jokes at the expense of the millions of people who just died. All the killings in this movie feel way too graphic and realistic to be entertaining and it makes the hero less sympathetic and the action scenes unnecessarily hard to sit through. The second thing that makes this movie sadistic is in the message it presents to the audience about drone strikes. If they gave the villain a more one dimensional backstory, I would be okay with the over the top deaths with cheesy one liners. But no, they had to give the villain the background of a legitimate problem that needs to be dealt with utter seriousness. By making the victims of collateral damage these one note, unsympathetic animals, they are telling the audience that all drone strikes done by the US to the middle east are absolutely fine, even if they harmed innocent people. The problem isn’t even that it falls on the side of the US, it’s how unapologetically it falls onto the side of the US. It doesn’t even matter what country these people are from, we should just be bombing people from these countries. There is an actual line of dialogue in this movie where our hero says to a villain, “go back to f*ckheadistan”. The people damaged by these unprofessional attacks are pure evil and they deserved what they got. In all my years writing reviews, I’ve tried to avoid using flashy, extreme words to describe subjects. But for the first time ever, I have found a movie on my site that I would call truly racist. London Has Fallen is an utterly racist piece of cinema. It paints all of the Middle East as one note villains and it justifies real life, horrific actions against a majority of the people whether that’s torture or drone strikes. There will be people out there who will watch this movie and they’ll use it to justify deeply rooted beliefs. The original Olympus Has Fallen was just a dumb action flick but this movie tackles real life subject matter and ends up either intentionally or unintentionally expressing a deeply disturbing view of how a lot of Americans see people from the Middle East. Deadpool and Kingsman: The Secret Service are over the top, bloody action films but the deaths in those movies are clearly meant to be tongue in cheek. 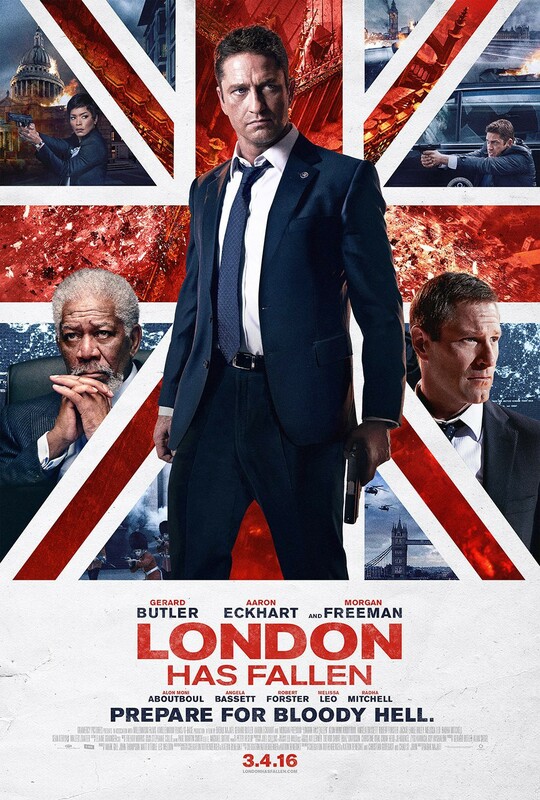 In London Has Fallen, the violence crosses the line and morphs into something much more sinister. Beyond that issue of being a wee bit racist, the movie is just bad on all accounts. The action scenes are mundane at best and unwatchable at worst. The shaky, close up action in this movie gave me serious flashbacks to A Good Day to Die Hard and I ended up zoning out throughout most of them. The visual effects for the film look like they come from a 2004 movie. The comedy in this movie wouldn’t even make it onto a bad CBS sitcom and when the jokes don’t feel artificial, they feel sadistic as I’ve already mentioned above. The performances are all atrocious. 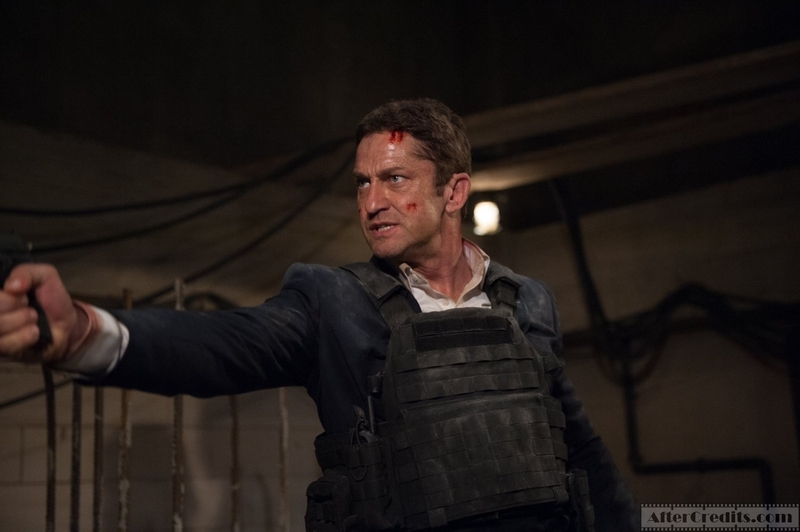 Gerard Butler brings no enthusiasm to a character that already feels soulless. The movie also wastes several beloved character actors that all apparently needed another paycheck. I know they had to find a way to pay for their yachts but come on Robert Forester; you were Max Cherry in Jackie Brown. You’re seriously telling me you can’t find something better to do that this pile of trash? And of course, the movie kills off millions of people like it’s no big deal and seriously expects us to give a damn about whether or not the president is going to make it. It doesn’t matter if every other prime minister is murdered; we only care about ‘murica. In a movie like G.I. 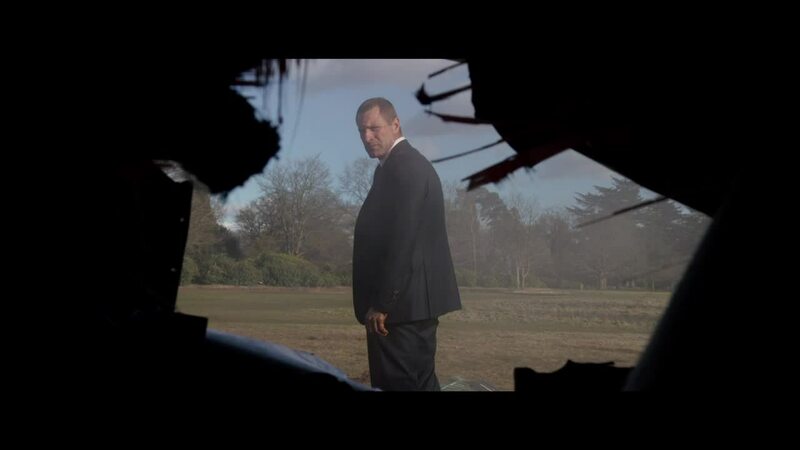 Joe: Retaliation, that would be the most arrogant thing that an action movie could do. For London Has Fallen, that’s just a footnote. I had watched Zootopia before this movie and it was certainly an odd double feature. Zootopia was a kid’s movie that advocated breaking down misconceptions and finding tolerance for the people around you that are different. London Has Fallen was an adult movie that advocated seeing the Middle East as this one ugly figure that it’s okay to brutally attack in morally dubious ways. I know one is aimed for children but that’s the one that clearly seems more mature than the other. London Has Fallen is a badly made, badly written and badly acted movie. But even if I let that slide, it contains perhaps the worst message I’ve ever seen from a movie that I’ve had to review for this site. Beyond the ugly cynicism of Black Mass or even the nauseating laziness of A Good Day to Die Hard, this might be the worst. I hated this movie and it must be avoided at all costs. Hopefully, London Has Fallen represents where we are right now and Zootopia represents what we can become in the future.